You are invited to attend our Remembrance Day Liturgy Monday, November 12, 2018 at 10:40 am in our gymnasium. Ms. Abbondandolo with her students in grades 4/5 and Ms. Haines with her students in grade 3 will once again host this solemn event. 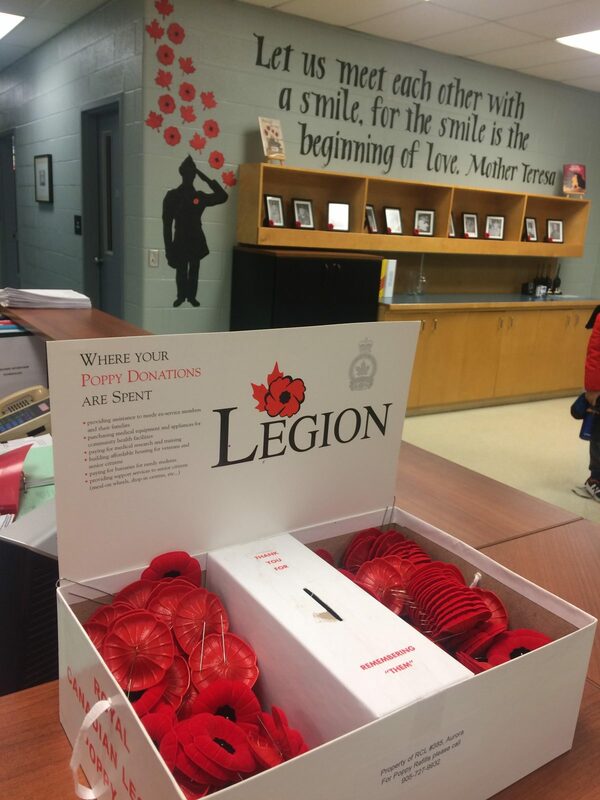 All students, staff and guests are invited to wear red and donate a toonie where all funds will be forwarded to the Royal Canadian Legion.